This challenge was using circle strings. I thought it would be fun to use circles within circles. I really like how this turned out. I have really been enjoying doing the Diva challenges. 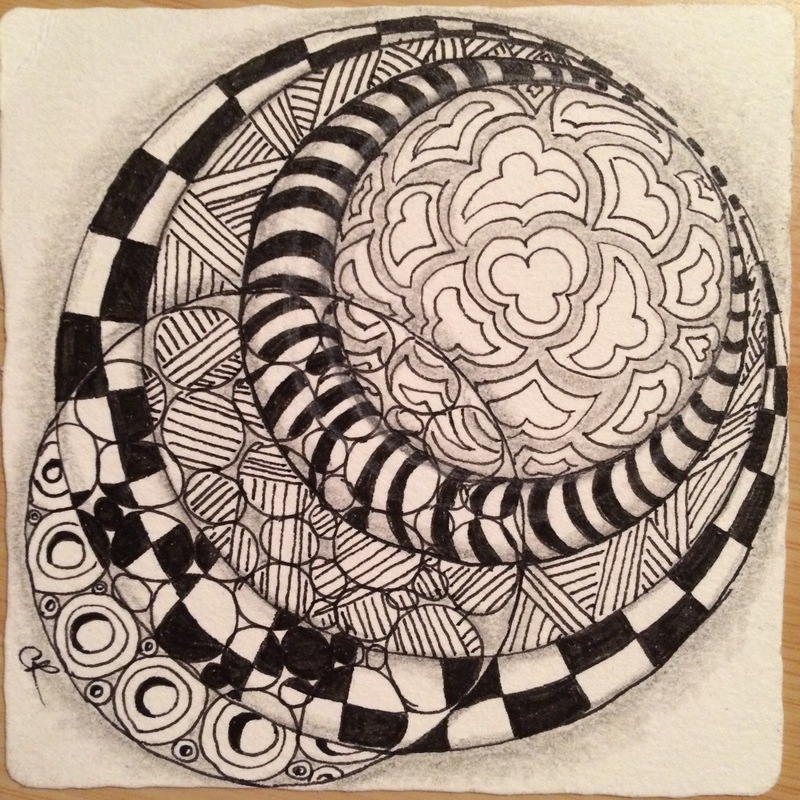 If you do Zentangle and you haven’t tried one of the challenges, I urge you to give it a shot. You can find them on her blog I am the diva. You added a twist to the off set circles by also having an overlapping circle. Looks great. Like the bubble effect. A lovely tile, I like the transparent one on top of the other. Love the transparent circle on top of the others. Nice work! the circle at the bottom left almost is invisible, but the effect is so cool.